Apparently, the panel, which was led by Football Association of Singapore (FAS) president Lim Kia Tong, painstakingly tried to convince the media the rationale of implementation of the controversial "age quota" in the upcoming season of the local professional league that had generated much buzz of late in the fraternity. 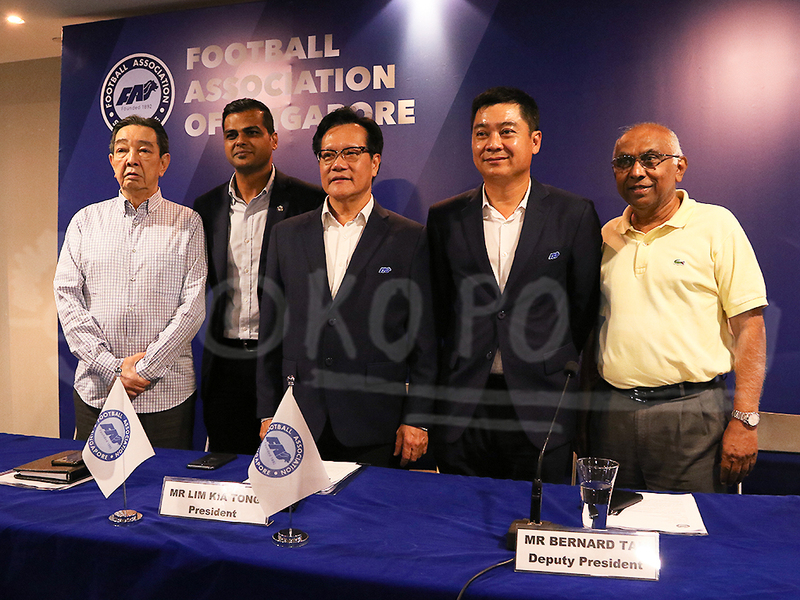 In an announcement made at the press conference held at the Jalan Besar Stadium earlier, the rules pertaining the aforementioned quota requires "All local clubs will have to register a minimum squad of 19 players and a maximum of 25. 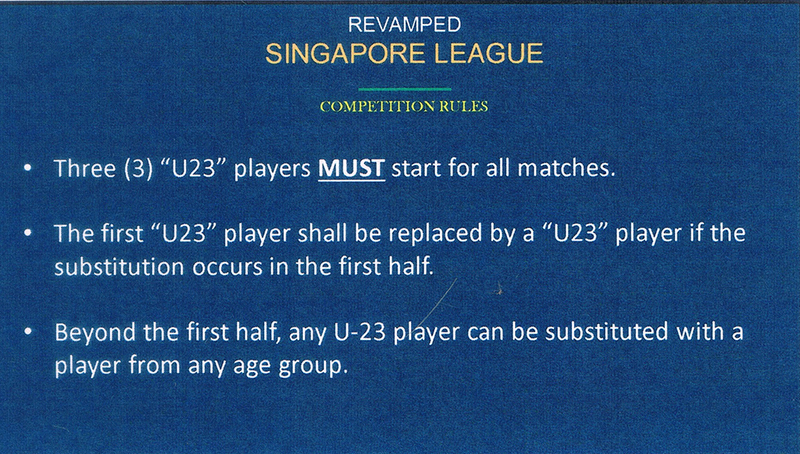 Of this, in a squad of between 19-22 players, six of their players have to be Under-23, and eight have to be Under-30. Clubs are open to register any players to fill the remaining slots, which may include a maximum of two foreign players." 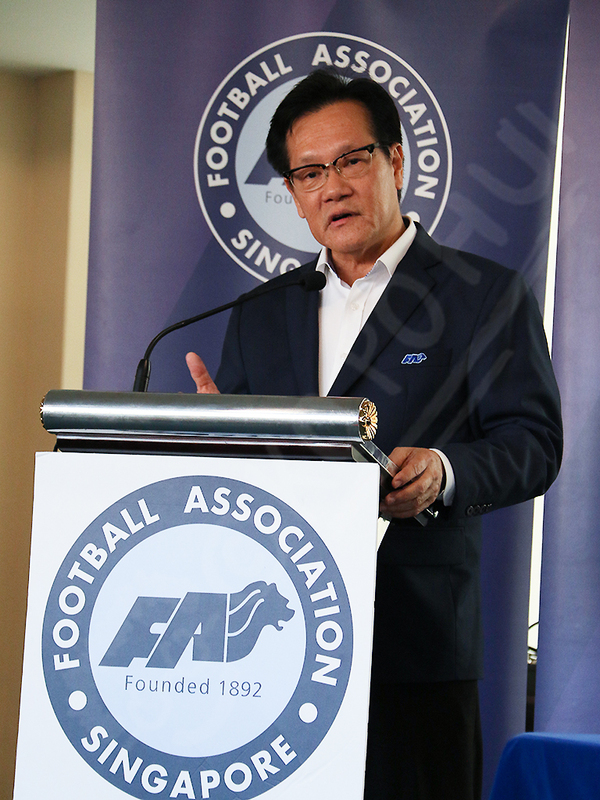 In a press release issued shortly after the event, Mr Lim explained:"These are wide-ranging changes we are implementing to gear the league towards building a broader base to enable our National Team to succeed... because this allows for greater stability and will encourage the clubs to develop longer-term plans,"
With the imposing of such unorthodox competition rules, the league authority decided to impose the following measures (as shown below) during any match being played. 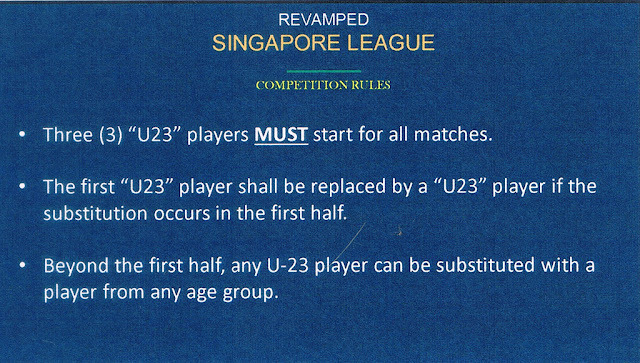 Although at this stage, this blogger can't be sure how much a challenge any head coach would be facing following the implementing of these criteria, given the scarcity of quality players of mentioned age group of "Under-23" whom are being singled out as the "cornerstone" for the development of future national players. While clubs like defending champions Albirex Niigata (Singapore) and national developmental squad Young Lions are not subject to the above ruling, it is understood, however, the Yuhua-based Japanese club is to abide to a different criteria. Nonetheless, it was informed the discussion on the new ruling is still well underway with another foreign club Brunei DPMM. Other changes to be introduced in the upcoming season, which is scheduled to kick off on the 31st of March 2018 with the repeat of this season's opener between Albirex and Tampines Rovers at the National Stadium, is the replacement of 2.4km run with the "Yo-yo" test to gauge the fitness of the players. With emphasis of fitness on the players, it is mandated that every club must engage a fitness coach who will work closely with the FAS' fitness department to improve this aspect. In addition, all games in the upcoming season will be played on weekends at 5.30pm in a move to allow fans to watch some local football actions at their neighbourhood stadiums before given ample time to head home for more football actions on their televisions at night. Such a drastic move is to minimize the frequent fixture changes that the league had seen in the past and also to allow fans to stay focused in their weekend activity planning. Furthermore, this blogger also understood that clubs will be given more autonomy in organizing activities at their home matches with details to be announced on a later timing. 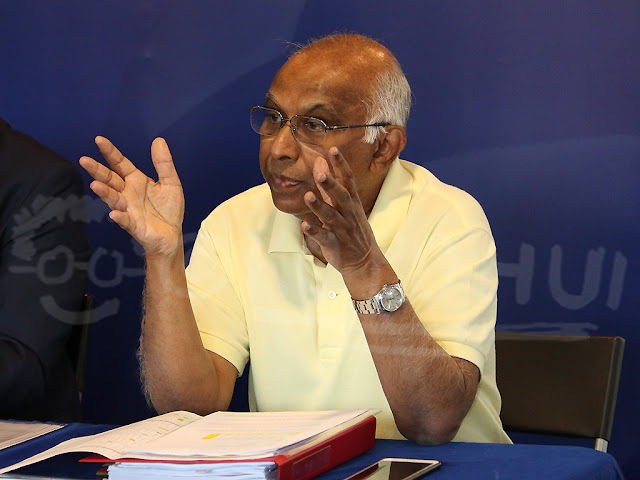 When asked to confirm if there will be any change of the name to the local professional league, FAS vice-president Mr S Thavaneson hinted they don't rule out the "possibility" of it but while it is something not critical, it is still under discussion.